We all know that counterfeits are being sold on Amazon. 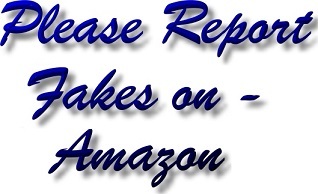 Most people appreciate that it can be difficult to report fakes to Amazon or report counterfeits to Amazon. When someone sells a fake on Amazon or attempts to sell you counterfeit goods on Amazon; you are a victim of fraud or attempted fraud - you have either been defrauded or someone tried to defraud you. 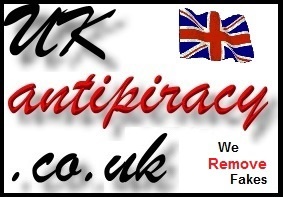 Please tell us about fakes on Amazon UK. We will report to the license owner (the copyright owners) and to Amazon. 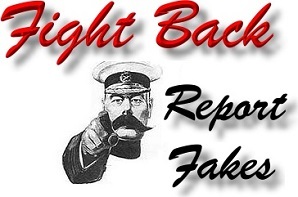 We also file reports of fakes being sold on Amazon, we report fakes to Amazon, we liaise with all interested parties, we take action if Amazon fail to act and we help victims of counterfeits bought on Amazon obtain a refund. Please report fakes and counterfeits sold on Amazon. 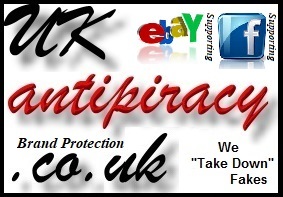 After all; pirates are trying to defraud you; why should pirates "get away with it"?